This tour originates from Kochi. Price start with ₹22499 per person. Use the form below to inquire about Drive Holiday To South Kerala . Use the form below to reserve for Drive Holiday To South Kerala . Please check the Itinerary for a detailed description of the drive route. The summer months are generally very humid and sultry in Kerala. The winter months – from November to February – are ideal for sightseeing at Kochi, Munnar, Thekkady, as well as Alleppey. Winter clothing is advised at Munnar and Thekkady as night temperatures can fall really low at these destinations. This Drive Holiday can be customized with variations on “Number of Days” (4N/5N/6N) and originating destination. We will pack more punch with more number of holidays. Send an inquiry and our travel experts will customize your Drive Holiday itinerary. You can choose your own car for the drive or pick up from our latest zippy models. We have multiple car pick-up points in most of the cities and airport drop or at the door drop option in certain cities at nominal charges. Call us to check on this info. A car of your choice (as per availability) and with unlimited KM of usage during the rental period. Please read the terms & conditions of car rental carefully. The interesting aspects of the Kochi stay are the placid backwaters, historic beach towns, and age-old religious attractions and places. 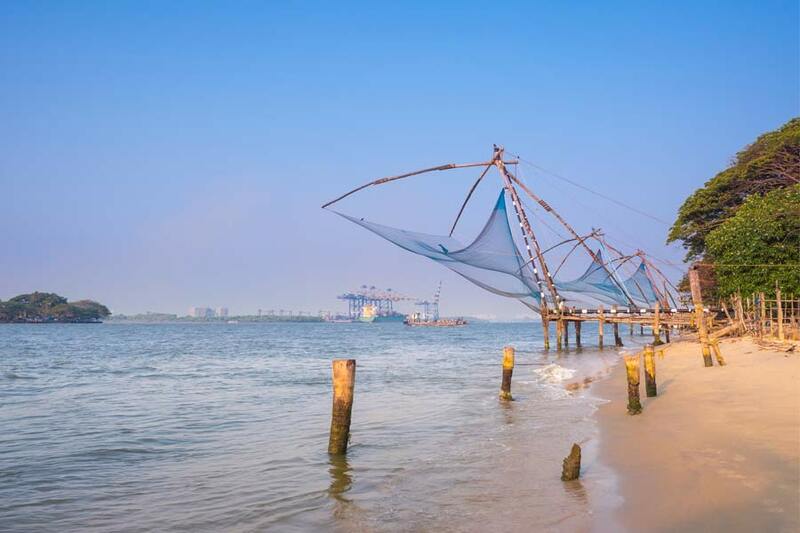 Cruise through the backwaters, pay a visit to ancient Jewish establishments, visit centuries-old temples and palaces, explore the world-renowned spice market, marvel at the Chinese fishing nets, and also visit an elephant training center. At Munnar, witness the exotic wildlife, soak in the scenery, picnic in the meadows, trek to the peaks, and dare to try your hand at rock climbing or rappelling. 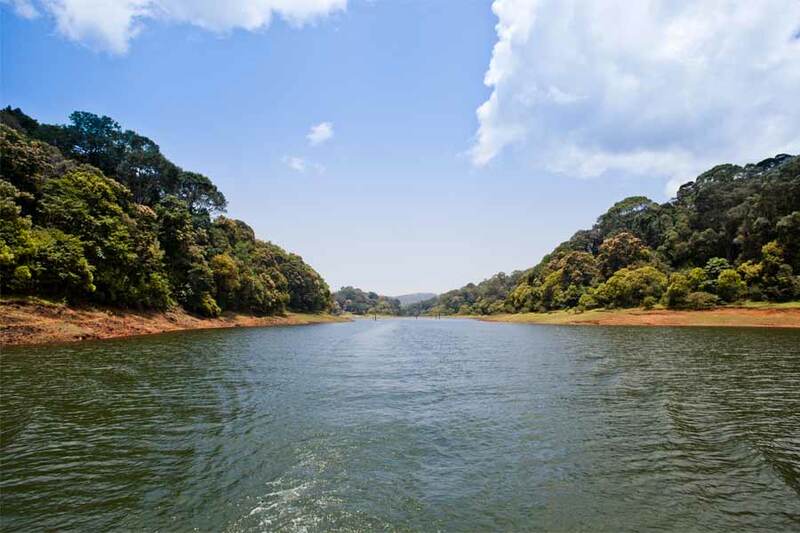 Thekkady has to offer the beauty of mountains together with adventure and wildlife. Alleppey offers a surreal beauty for your endearing soul. Cruising on houseboats through the mesmerizing backwaters, beautiful paddy fields, and rivers is as therapeutic as can be. If you visit during the second week of August, you could witness the spectacular snake boat races. If you have opted for Self- drive car rental, the vehicle of your choice will be delivered at a pre-determined location depending on your preference and availability. You can choose to stay at an exotic resort or a cozy homestay, located scenically with the backdrop of stunning backwaters where the hospitality is world class. If a homestay is your accommodation of choice, begin your expedition with a visit to the local prawn farm or witness the traditional fish auction at a local beach. 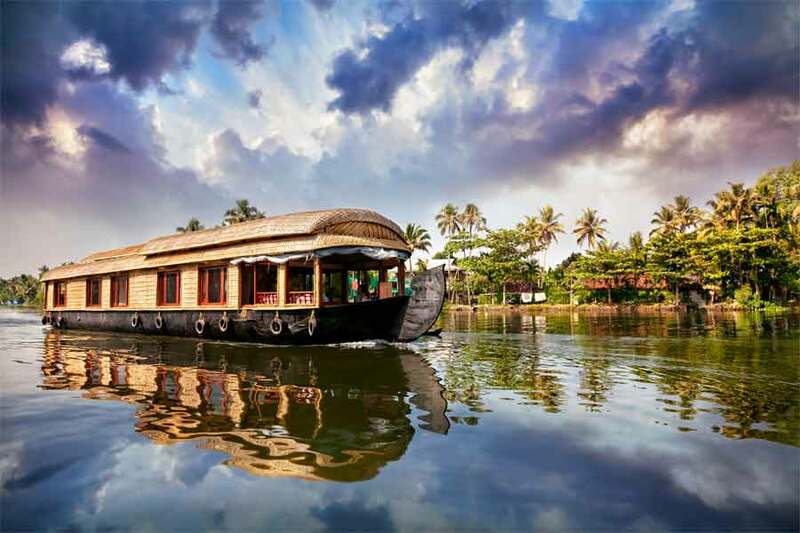 You may end the day with a boat cruise through the backwaters at sunset. If staying at the resort, be prepared for elite accommodations. Ayurveda services, spa facility, a huge infinity pool that merges with the neighboring backwaters and state-of-the-art gym are facilities that will pamper you at the resort. Food is succulent and can be customized to the guests’ palates. Kathakali performances can also be arranged on request. Day trips to Kochi’s popular attractions can be organized according to your requirements. Most prominent of these are Mattancheri Dutch Palace, Chinese fishing nets, Fort Kochi, Jewish town and synagogue, Marine Drive, St Francis Church, Cherai Beach, Bolgatty Palace, Willington Island, Spice Market and Kadanadu. After breakfast, checkout and hit the road on one of the most scenic drives you have ever seen. The stretch of twirling roads through stunning mountain ranges and dense trees leading to Munnar has been featured in many world-renowned travel magazines. The traveling time to Munnar from Kochi is approximately four hours without traffic. The distance is about 135 kilometers. The accommodation options available at Munnar are staying on a plantation estate, a bungalow with themed rooms or a luxury serviced villa. All three are picturesquely set against the classic vistas of Munnar and offer excellent views and chic interiors. At the plantation property, go for walking trails amidst fragrant cardamom plants. On nature walks, you will be accompanied by knowledgeable naturalists. Exclusive bird watching tours are arranged to special spots on the property where endemic species of birds cozily nest. The climb to the viewing balcony on the property turns out to be worth every bit of the effort when you see the picturesque scene before you from the top. At the valley bungalow accommodation, you could participate in a tea manufacturing workshop. Get involved in the entire tea-making process and proudly take home the tea powder made by you as a souvenir. If a serviced villa is your choice of accommodation, be ready to be awestruck at the rustic and earthy feel that will embrace you at every little corner. Bird watching and nature walks through the scenic neighborhood can be arranged accompanied by expert naturalists. Cycling trips or picnics around the charming meadows with meals and snacks can be customized for guests. 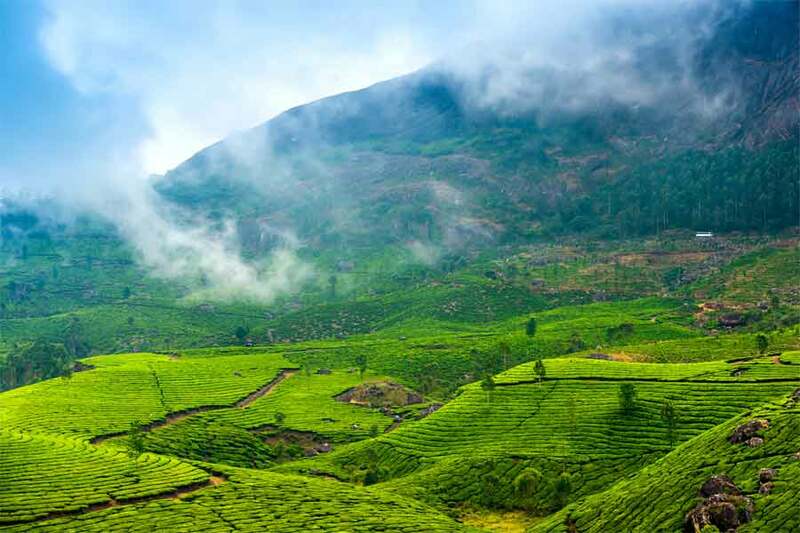 Trips to major Munnar attractions can be planned if informed early. Explore wildlife at Eravikulam National Park and Chinnar Wild Life Sanctuary. The endangered Nilgiri Tahr is preserved at the National Park. 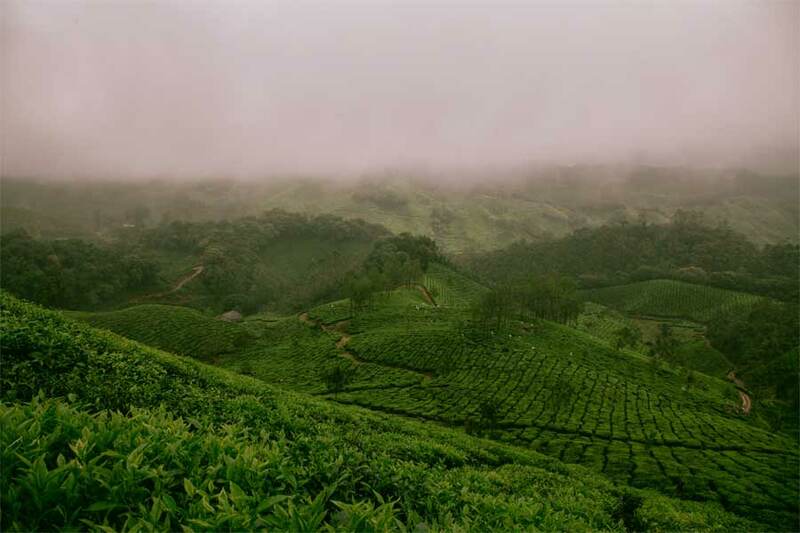 Other popular hotspots are Kollukkamalai which is the highest tea garden in India, tea museum, Mattuppetti Dam, top station, Lakkom Waterfalls, Briar Bridge, Rajamala, and Marayoor sandalwood forest. After breakfast, check out and head towards Thekkady. By road, the distance from Munnar to Thekkady is about 100 kilometers. The approximate time taken will be three and a half hours. Accommodation available at Thekkady is a stunning modern piece of work with cutting-edge architecture. Plantation tour through the spice garden is a quintessential activity at this property. A bit of spice shopping at the in-house spice shop is a must-do. Bird watching in the rain-drenched forest is a treat for your eyes and ears. Excursions can be arranged to all popular destinations of Thekkady. Experience wild species up close at the Periyar Wildlife Sanctuary, through a jeep safari or on a boat. The Mullaperiyar Dam and the artificial lake on its side make for a stunning vista. The trees trunks peeping out of this water body is iconic of Thekkady. Gavi too is a wildlife extravaganza and a bird paradise. Ottakathalamedu Viewpoint, Chellarkovil Waterfalls, historical Ramakkalmedu, and Idukki Dam are a few other locations to visit. Check out from Thekkady after breakfast and start your drive towards Alappuzha. The distance is approximately 140 kilometers and the time taken to reach is approx three hours and forty-five minutes. Enjoy a cruise in the pristine backwaters of Alappuzha till sunset. Spend the night at the houseboat. You will have the access to the adjoining resort and its facilities to spend a relaxed evening. Trips to local hot spots of Alappuzha will be arranged on request. 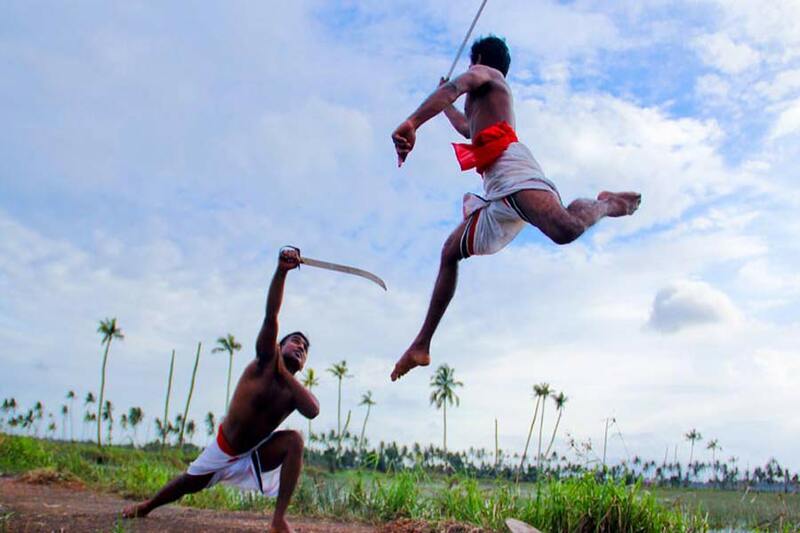 Trips to Alappuzha Beach and Morai Beach, visit Krishnapuram Palace and Ambalappuzha Temple, witnessing historic and magnificent churches, and watching snake boat races during the season are some of the experiences Alleppey has to offer you. Check out from your Alappuzha accommodation in the morning and head towards Kochi for your onward journey home or to some other new destination. This Drive Holiday can be customized for things to do, places to visit, and experiences to enjoy as per your interests and preferences all through the journey. Breakfast provided at accommodation properties. Lunch and dinner are available on certain days/for certain properties. The details will be specifically mentioned in the individual itinerary shared via email after confirmed booking. Car rental charges as per the model chosen and duration of package. Not applicable for those who opt to use their own car. Activity charges and other entry charges unless specifically mentioned in the inclusions. Lunch and dinner on certain days / certain properties unless mentioned as inclusions in the individual itinerary. Extra bed charges or accompanying children charges. Any other expenses which are personal in nature. Food or beverages consumed other than which is part of the package. Inclusions and exclusions may change on customization of the drive holiday package. Please check with us if you are particular about any point of inclusion/exclusion and we will do our best to accommodate your request. Terms & Conditions as applicable to the individual service provider for accommodation & car rental. Please read the Terms and Conditions to clear any doubts on the usage of our services. Tour accommodation mentioned is available based on availability on a first-come-first-serve basis. Please confirm before booking. Cancellation policy of individual service providers such as accommodation providers or car rental companies whose services are included in the itinerary shall be applicable for drive holiday cancellations and refund. For more details please visit the Terms and Conditions page and read the fine print under the heading ‘Cancellations and Refunds’.